The Formatt 58mm Soft Gold 1 Enhancing Schott-Desag B270 Crown Optical Glass Filter is another incredible innovation from Formatt. 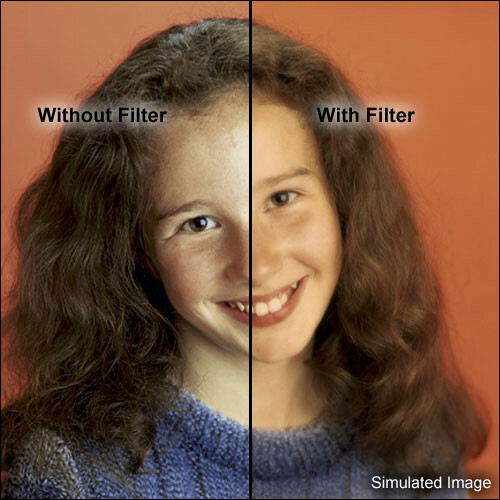 This filter has been specifically designed for today's High Definition cameras which tend to be ultrasharp and somewhat unforgiving when it comes to skin tones. Formatt, a company with three generations of professional filter-making experience, produces every filter to the highest technical standards. The finest materials, together with state of-the-art production technology, have resulted in a standard of optical excellence unmatched anywhere else. Soft Gold filters use the latest developments in materials technology to soften outlines and enhance flesh tones, removing blueness and facial blemishes without distortion. Its precision grinding and polishing result in unbeatable optical flatness that allows use on even ultra-long focal length lenses. Box Dimensions (LxWxH) 2.9 x 2.9 x 1.4"